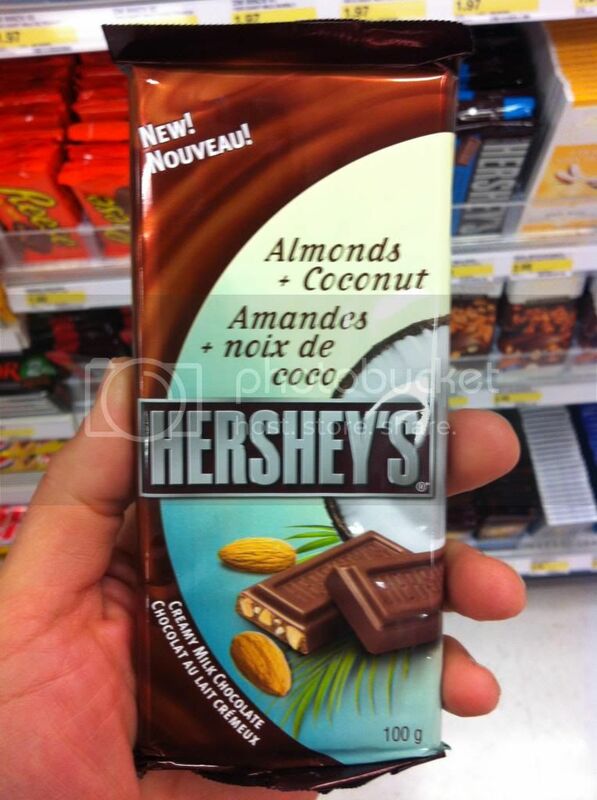 Hershey's entry into the Big Bar markets are simple and mostly consist of variations on a theme. Almond, and Cookies feature a lot. Why we don't see hazelnuts, or peanuts is a bit of a mystery, but Hershey does as Hershey will... Lets have a look at what they've got to offer. Here the standard Milk Chocolate bar has some slightly redesigned packaging to fit it more clearly into the overall product line up. While I appreciate the idea, I have to say its a bad one. The Hershey packaging is iconic. Its simple and people love it. Messing with that just worries me deep in my bones. 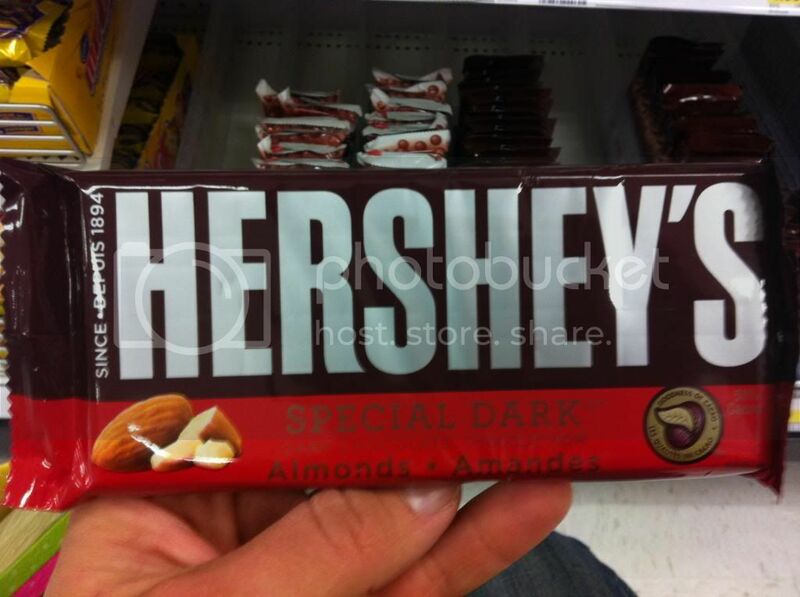 Hershey Almond is another classic of course. Variations on a theme here with Dark, Almond and Toffee, and Almond and Coconut. 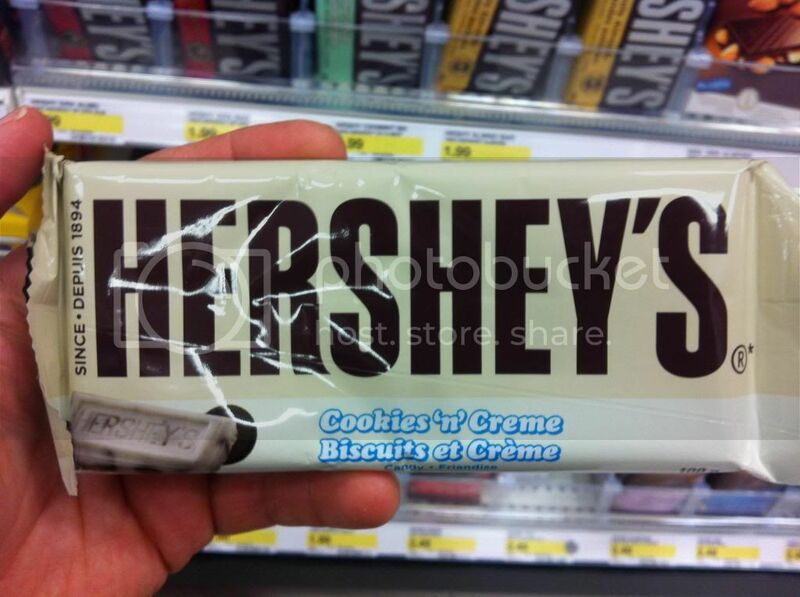 Of course Hershey's other long running bar is the Cookies 'n' Creme. This is one that I really just hate the packaging on. In fact I've always hated the packaging. If you've got one bar to change up the look for, please make it this one. 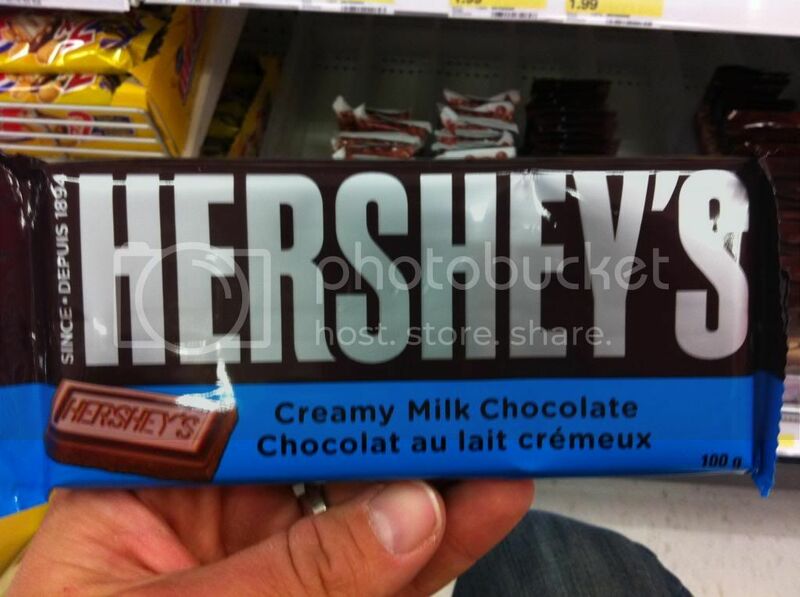 While the chocolate bar itself isn't terrible, I just find the look totally unappealing. Finally we get one I actually would like to try. 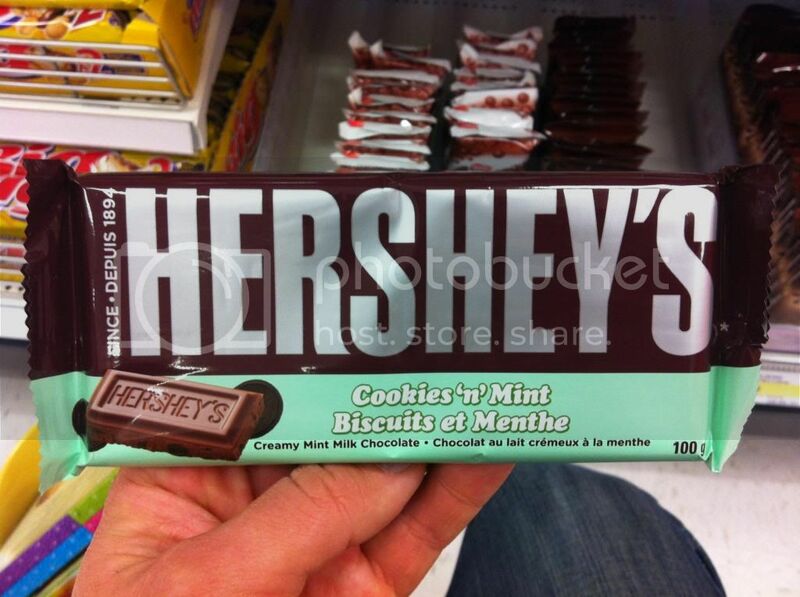 Cookies are great, Mint is great, Mint Cookies are great, so this one is probably a winner. And surprisingly that's all I was able to find for Hershey in the big bar section of the candy aisle. Surprisingly over on the Hershey's website they don't even list this many products... I know they've also got the Symphony Line, but I haven't seen that since I moved back to Canada from the States. Maybe they don't have that here. Anyhow, the whole thing is very interesting, and perhaps a little suspicious. I will end with this note. Of all the reviews I've done for Walking the Candy Aisle over the year and change that it's been running my video review for the Hershey's Milk Chocolate bar has generated more views and comments than any other post or review. People love it, they hate it, they love to hate on it and want to defend it. A lot of Europeans claim that it tastes like throw up (for real). And that may be because of the chemical added to their base chocolate that Euro chocolatiers omit. 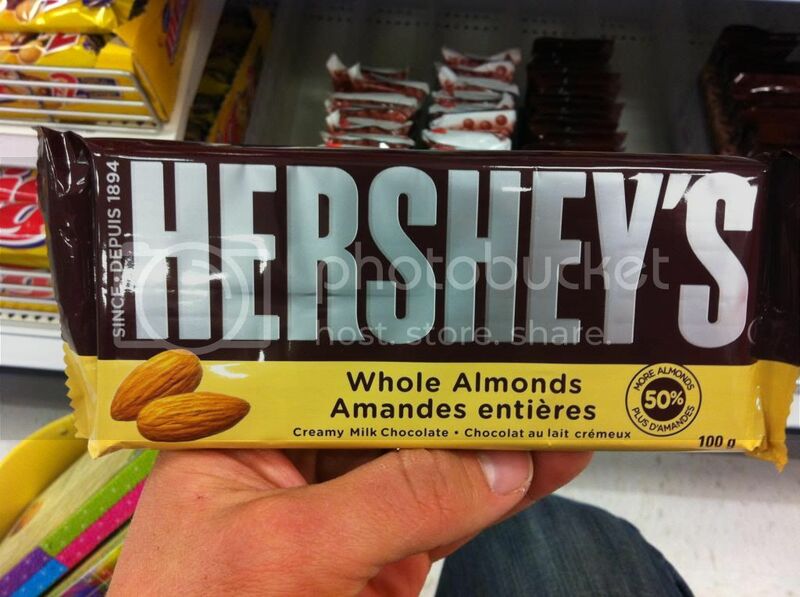 Either way the entire Hershey's line up is pretty devisive. 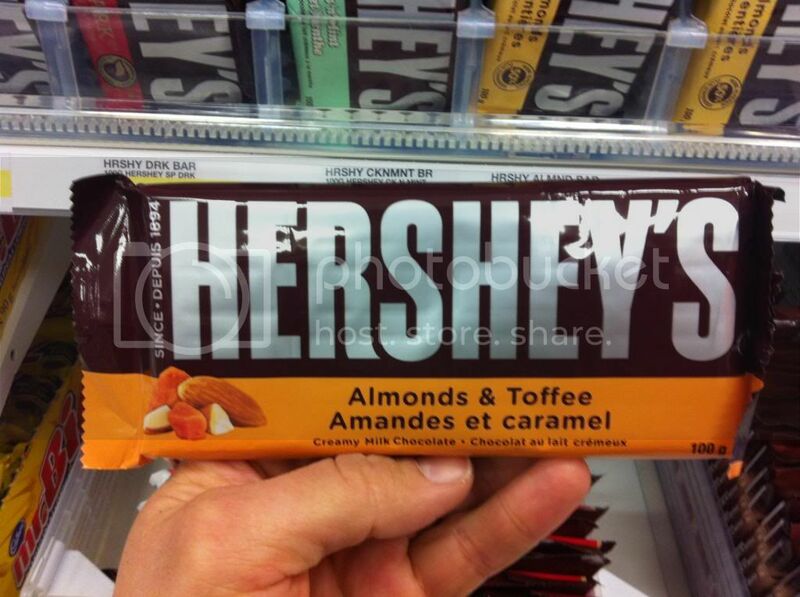 Let me know what you think below, and stay tuned for another look on the various Big Bars in the candy aisle soon.